Soon you will get to watch brand new Malayalam movies in the comfort of your home and that too legally. Malayalam movie makers and producers have jointly decided to release new movies through an online medium Channel called channel7music.com. The new service will be launched on April 14, Vishu Day. The idea has been in discussion for a while. The new system will become a huge relief to producers who are struggling to get profit but it is likely to affect the satellite rights’ rates drastically, says Kerala Film Producers Association General Secretary Sasi Ayyanchira. 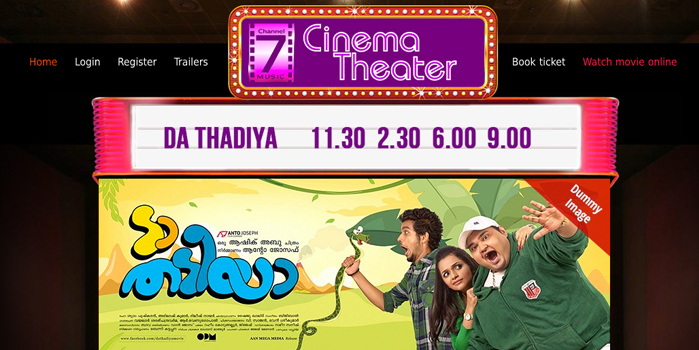 To watch the latest movies, users have to logon to channel7music.com and click on ‘Cinema Theatre’. Viewers will have to go through a registration process to get ‘User Id’ and ‘Password’. Of course the viewers will have to pay a definite amount for watching theMalayalam movies online. There will be separate log-in for the producers. The idea is to combat piracy and there will be fixed timings with four shows per day, just as in cinema theatres. The rates, number of shows and the country where the film is going be released will be decided by the producers. Viewers can also watch movie trailers to decide whether to watch a movie or not. The customers can make payments through credit cards, debit cards, internet banking, top-up cards etc.